Having spent a reasonable chunk of my pundit duties over the last three years noting significant shifts against London’s elite on the global stage, I confess I had expected financial results this year to break that pattern with City leaders managing a more confident showing. Particularly as the Global 100 firms collectively grew revenues by 5% to $92.7bn, while profits increased 7% to $36.43bn. Momentum versus quality. That’s the question for the upper reaches of the legal industry that is never on the lips of managing partners but probably should be. The industry likes to focus on partnership models, strategies, practices, geographic spread and culture. These are all fine up to a point but as major determinants of success, they get too much air time. But momentum – well, the impact of that is dramatically, empirically startling in law. When firms have it they are capable of achieving staggering levels of growth and market repositioning. 2014 saw US firms continue to build on a solid home base but extend their reach in Europe, Asia and Africa. 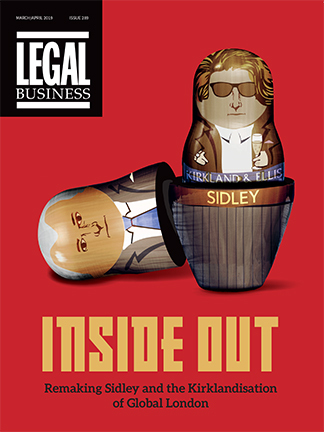 As clients seek to consolidate their law firm panels internationally, the Global 100 continue to slug it out. Having spent a reasonable chunk of my pundit duties over the last three years noting significant shifts against London’s elite on the global stage, I confess I had expected financial results this year to break that pattern with City leaders managing a more confident showing. Unfortunately for London’s finest and my own credibility, that expectation has proved plain wrong because the City’s big four have just posted their most indifferent collective performance since the wipe-out of 2008/09.